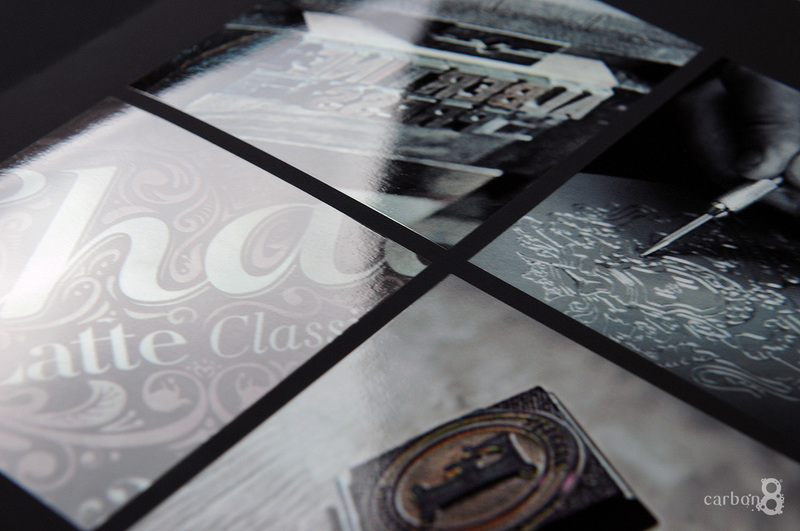 Spot UV is a clear gloss coating applied paper or card stock which draws your attention to a particular design aspect by adding depth and definition to the printed surface. Spot UV creates a contrast between two elements by making one part of the design shimmer and reflect the light whereas the uncoated area remains matt or flat. Spot UV is printing jargon used when a varnish is “cured” or hardened using an ultraviolet light. Traditionally, a design will be printed, then a matt or silk celloglaze (a thin plastic coating) is applied to the printed card. Next, a liquid varnish is applied to particular “spots” of the design. Finally, a UV (ultra violet) light cures the varnish. The curing makes the varnish solidify and makes the distinctive glossy finish. When to use spot UV? Spot UV adds depth and definition to the printed surface. It is often times used in business cards, on the cover of annual reports or books, and anywhere you want to add a “pop” or impact to your work. A UV coating can be applied to all of the page, or specific areas, “spot” UV. Spot UV is cost effective in medium to long runs as a setup charge for printing the varnish will be incurred. One of the most effective uses of spot UV is when it is applied to specialty uncoated coloured cardstock. This provides a distinguishing shimmer or shine that creates a two toned black on black effect. One thing to bear in mind with uncoated papers is the cost is a bit higher as the spot UV needs to be applied twice due to the absorbency of the uncoated specialty paper – but the effect is dazzling! Bear in mind, any areas printed underneath the varnish will deepen in colour when coated, so keep this in mind when designing. For very short runs, spot UV may be very expensive per item. There are a few alternatives. First, for repetitive short run items (e.g. business cards), many companies want the impact of spot UV but at an affordable price. They accomplish this by printing a large run of “blanks” and then later overprint individual associate’s details to get a cost effective, high impact solution. If you need a small quantity of items done, you can use another coating technique like clear foiling, or sleeking. This technique creates a spot UV like finish at a much lower per item price for small quantities. 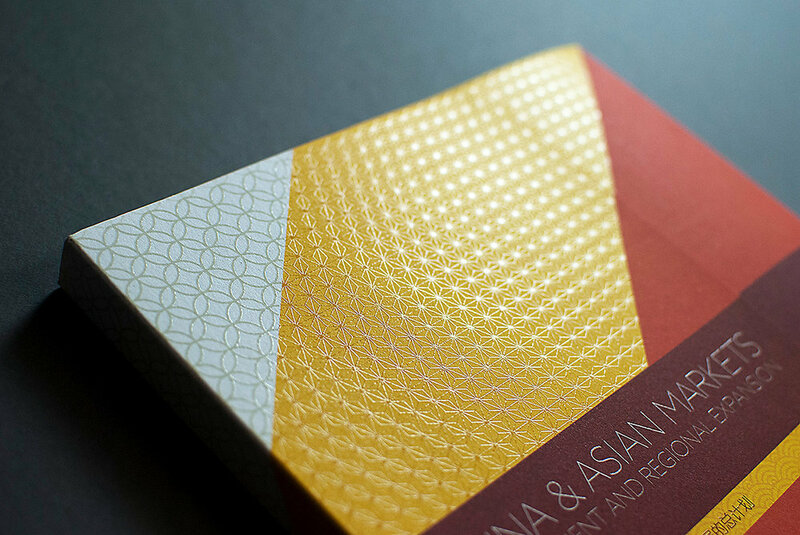 Finally, digital foiling, sometimes referred to as foil fusing, can also provide a metallic or gloss finish to card stock without the use of costly dies. This option has a limited number of colours and foils to choose from, but if you do not require a pantone match, it could be a cost effective option as well. Again, this option is used for small quantities.